The Good Search has recruited Balwinder Kaur to the role of T-Mobile Software Developer focused on mobile software development. Ms. Kaur joined T-Mobile on January 12, 2009. 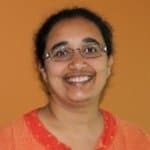 Prior to her position as T-Mobile Software Developer, Ms. Kaur served as Senior Staff Software Engineer at Motorola Mobile Devices, a position she held from 2004 until her present role. Before Motorola, Balwinder served as J2ME Consultant with InfoSpace Mobile; Chief Architect and Developer with Sovinna Systems; Staff Software Engineer and Team Lead with Motorola Internet and Networking Group; Software Engineer with NYNEX (now known as Verizon); and Software Engineer with Fujitsu India Limited Telecom. Ms. Kaur received her M.S. Computer Science from the Indian Institute of Technology (IIT) Roorkee, India. and her B.S. Electronics and Communications from the M.S.University of Baroda, India. T-Mobile US, Inc. is the American operating entity of the German wireless network operator T-Mobile International AG. Its headquarters are located in Bellevue, Washington. T-Mobile provides wireless voice, messaging, and data services in the United States, Puerto Rico and the U.S. Virgin Islands under the brands T-Mobile, MetroPCS, and GoSmart Mobile. The company operates the fourth largest wireless network in the U.S. market with 49.1 million customers and annual revenues of $24.42 billion.